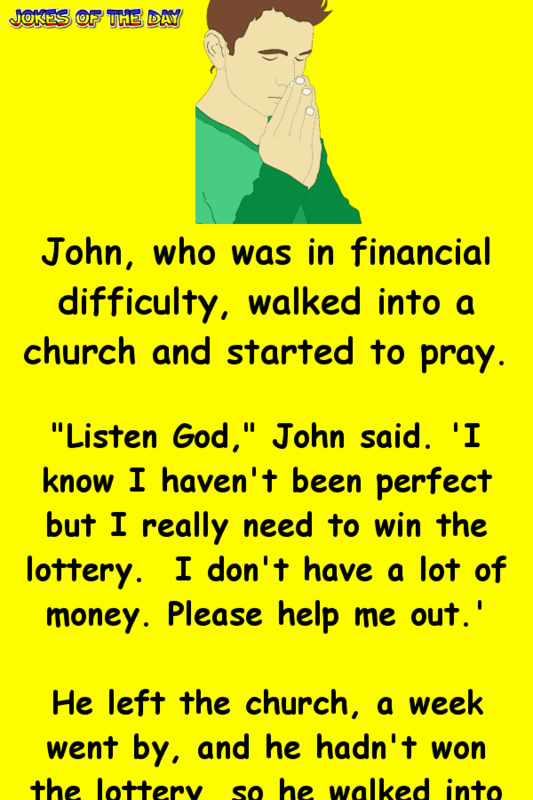 He left the church, a week went by, and he hadn’t won the lottery, so he walked into a synagogue. He left the synagogue, a week went by, and he didn’t win the lottery. So, he went to a mosque and started to pray again. John thought this did it, so he got up and walked outside.